The B.S. 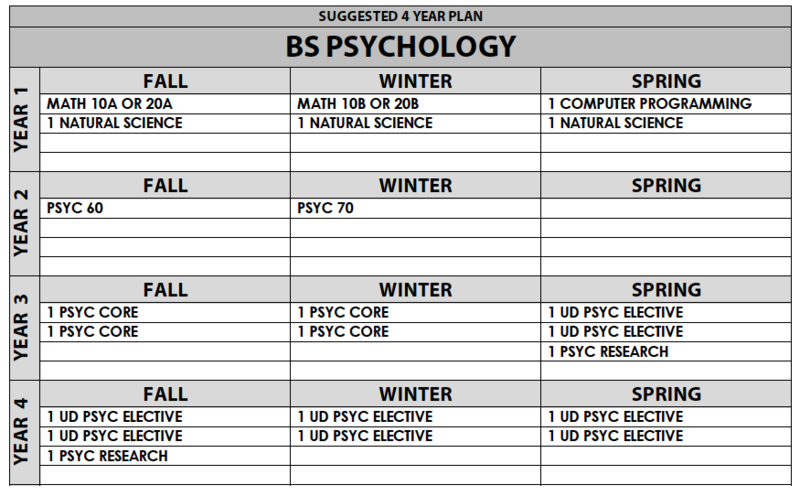 in Psychology is designed to provide broad knowledge across sub-disciplines in Psychology. With an emphasis on statistics and research methods, this major includes a research requirement that can be satisfied through independent research or lab classes. **Students who are interested in fields that may require advanced calculus are advised to take MATH 20A and MATH 20B towards their formal skills requirement. *Successful complete of PSYC 194ABC fully satisfies the research requirement.